Mercury – How Do You Communicate? Mercury in astrology is known as the messenger planet, bringing news from around the solar system. Mercury is the planet of communication, thought and connections, and indicates the style in which we’re likely to communicate, our state of mind and how we naturally think and process information. It’s the way we think, talk and what we’re likely to talk about. Mercury is the winged messenger that carries forth the message of the ‘King’ it closely follows the Sun. Mercury ‘loans’ himself to the planets, adding touches of talent in communication and a quick and agile mind in particularly blessed birth charts. For example, someone with a Mercury close to Venus might show a talent for writing love letters, or Mercury conjunct the Sun could be someone who expresses themselves and their priorities well. Mercury: Merchant, Magician And Totally Mental! Mercury is known as a trickster magician, Loci the devil, or the naughty, formless mimic. Mercury rules commerce and exchange, communication and contact. All types of connections and networks are Mercury-ruled including our nervous system. This planet has ownership over letters, telephones and emails – the US postal services used Mercury as their first symbol back in 1782. It also oversees short trips, networking and chatting – even gossip! It represents our neighbours, siblings, learning and early school life, nicknames, naming or labelling with words. The planet Mercury has rulership over the Mutable zodiac signs Gemini and Virgo, which means they share some of the traits of the planet, including a flexible (or flighty) character and easy style in communicating. Like Mercury, magpie Gemini can be linked to the devil, ‘the dual one’, Diablo, and is sometimes described as an amoral. 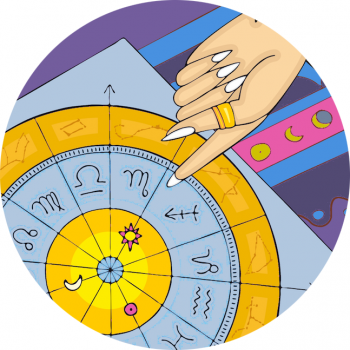 Virgo fares better, as her style of communication sifts, sorts and is discriminating. If you have your Mercury in either Gemini or Virgo, you’re lucky to have Mercury on your side, as he is most at ease in these signs, operating with a natural affinity toward spreading his message. Our Mercury sign can reveal something about the way we express ourselves, the way our mind works, the way we talk and communicate. In fact, it’s an indicator of how we talk, what we talk about – even what we think about! As a planet, Mercury travels very close to the Sun – it is never more than 28 degrees away from the Sun, which means your Mercury sign will always be close to your Sun Sign or Star Sign within the zodiac. So, Aries will have Mercury in Pisces, Aries or Taurus, while Cancerians will have their Mercury in Gemini, Cancer or Leo… Look up your Mercury sign here. Select your Mercury sign to read more about your stellar style! When Mercury’s retrograde it means that the planet Mercury appears to be travelling backwards from our perspective on earth. Emails might bounce and get lost in the ether without us realising, contracts might suffer glaringly obvious oversights or we might just get confused for no reason. See All Mercury Retrograde posts, here! It’s a good time for revisiting and reviewing paperwork or letters we might wish to send, going over old ground. It’s not so good for signing contracts or committing ourselves where something might be at risk of error. At best, double check before pressing ‘send’! What do the other planets in our Solar System mean to our Star Sign Style? Read A Guide To The Planets In Astrology, here.